Nonton Jugni (2016) Subtitle Indonesia – Jugni (Firefly) is the beat of the soul, the free-flying spirit. 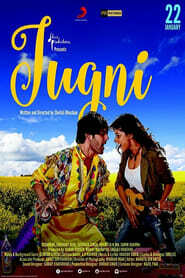 Jugni is Vibhavari (Vibs). Vibs is a music director, working on her first big break in the Hindi film industry. When work and home affairs, with her live-in boyfriend Sid hit a high tide, Vibs hits the road with a glint of hope; to find music. The journey takes her to a village in Punjab in the search of a Bibi Saroop, whose voice holds the promise that Vibs is searching for. But as the twist of fate would have it, Mastana, Bibi’s son and a proficient singer himself, is the voice and man who winds his way into Vibs’ heart. From here on, Jugni is about striking balances, making tough decisions while trying to soften the blows and dealing with the studied dramatic turns and unpredictabilities of life and finding the place which one can call home; home of the heart, where the firefly is at her brightest.